Evia has wonderful beaches, a pleasant climate, renowned monuments, many thermal sources and tasty food and is, therefore, a popular and nearby destination for the inhabitants of Athens. The island extends over a surface of 3,580 km2, its coastline is 48 km long and it has 220,000 inhabitants. Various findings in several parts of the area (Istiaia, Kirinthos, Psachna, Amarynthos, Artaki, Karistos etc) evidence that Evia was inhabited from the Paleolithic Era. Important archeological finding have been excavated fro the period of copper. Ruins dating back to the Early Helladic period have been found in Lefkanti, Vasiliko and in Manika, Chalkida, while in Oreoi and Aliveri ruins of the Middle Helladic period have been found. Finally, tombs and ruins of post Hellenic and Mycenaean era have been excavated in many areas of Chalkida. The ancient cities of Evia established important colonies in the Mediterranean sea (Chalkidiki, Asia Minor, Southern Italy), while Eretria was one of the most powerful cities during the Classic period. 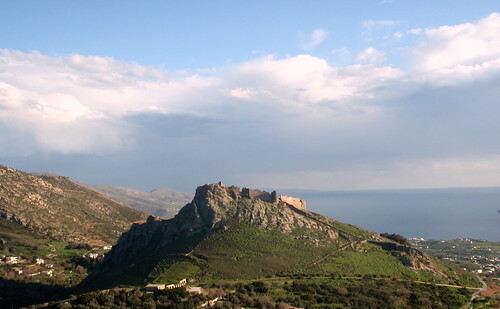 During the Byzantine era, Evia was very prosperous and formed part of the Department of Greece. During the Ottoman occupation, Evia was under Turkish control even after Kapodistrias’ arrival, and it joined to Greece only after the firman of 13th of June 1830. After the tragedy of Asia Minor in 1922 a lot of refugees installed themselves permanently in Nea Artaki and Nea Lampsakos, as well as in refugee settlements in Chalkida and Amarynthos. During the Second World War, Evia was bombarded by the Germans while the resistance of the locals was very strong. Info for travelling by boat on greek islands! Unique beaches with crystal water are waited to be explored by you!